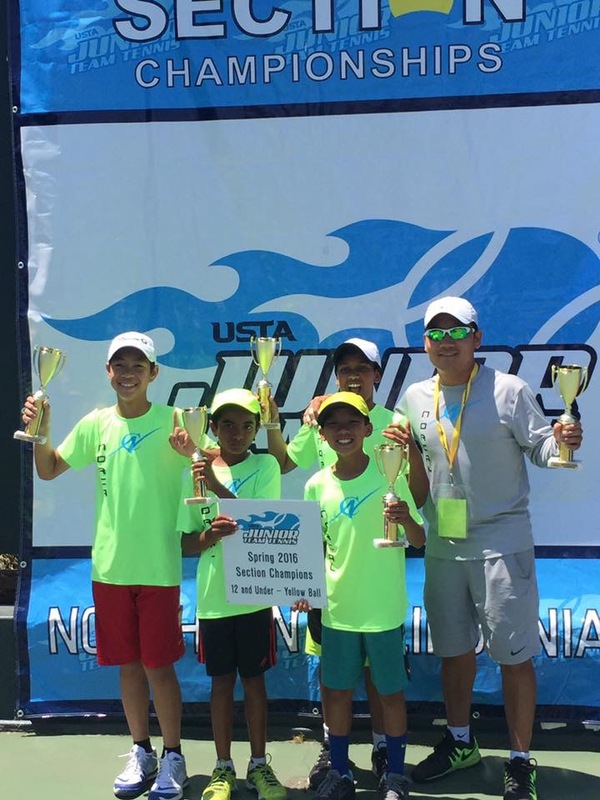 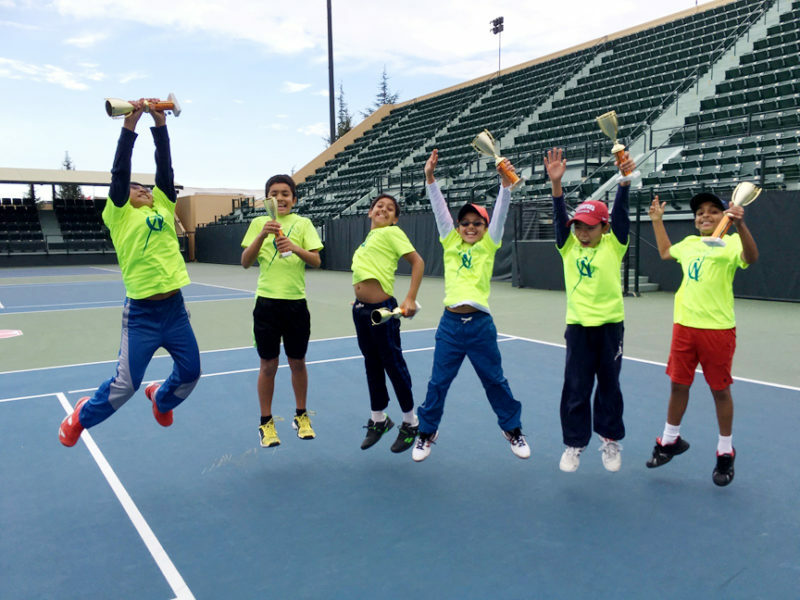 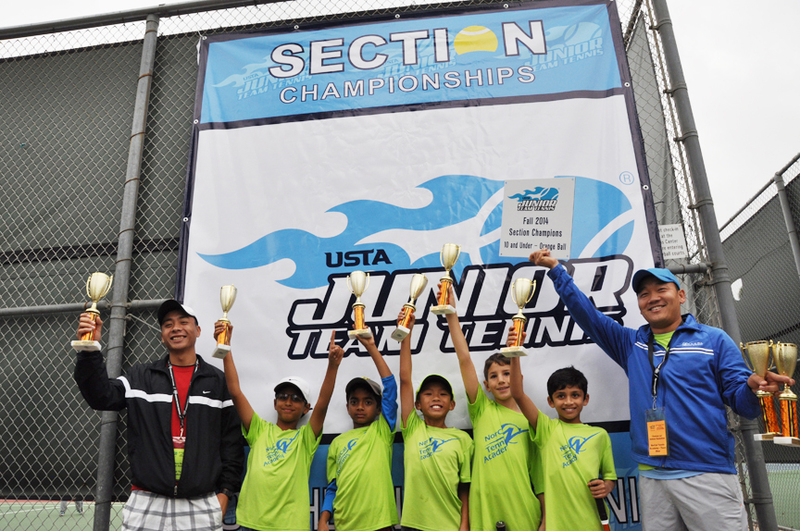 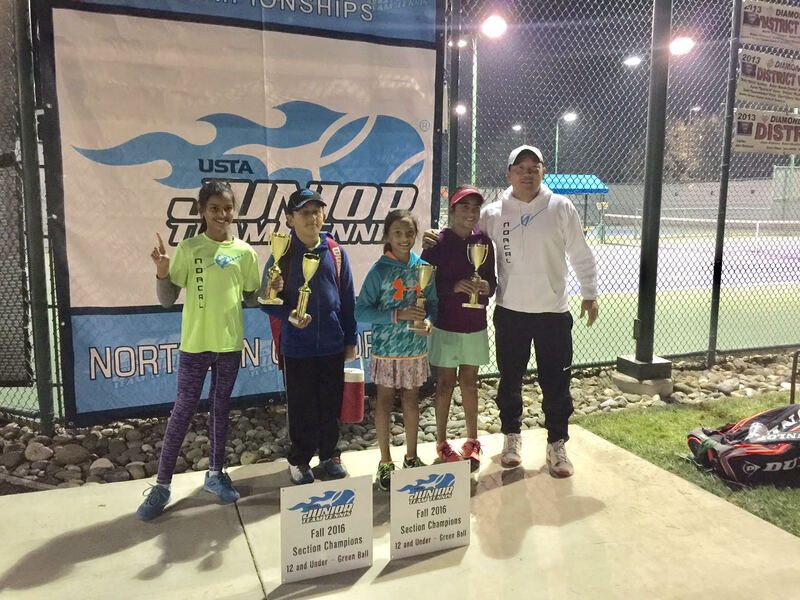 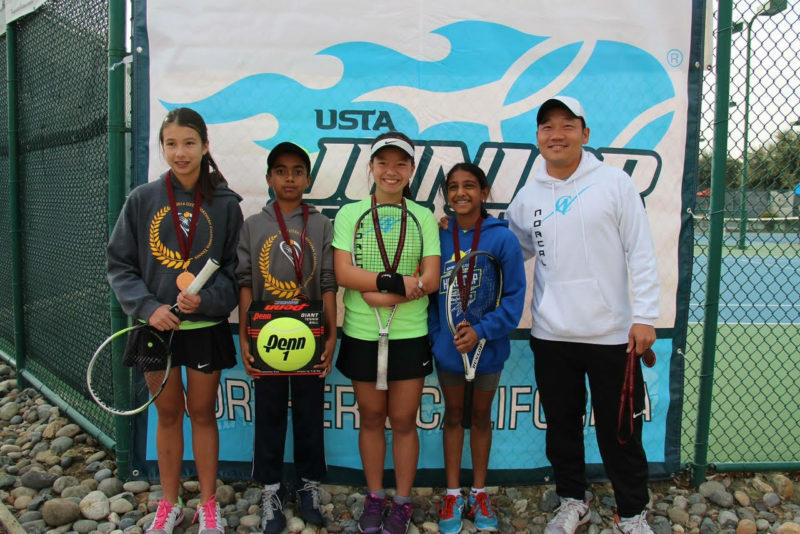 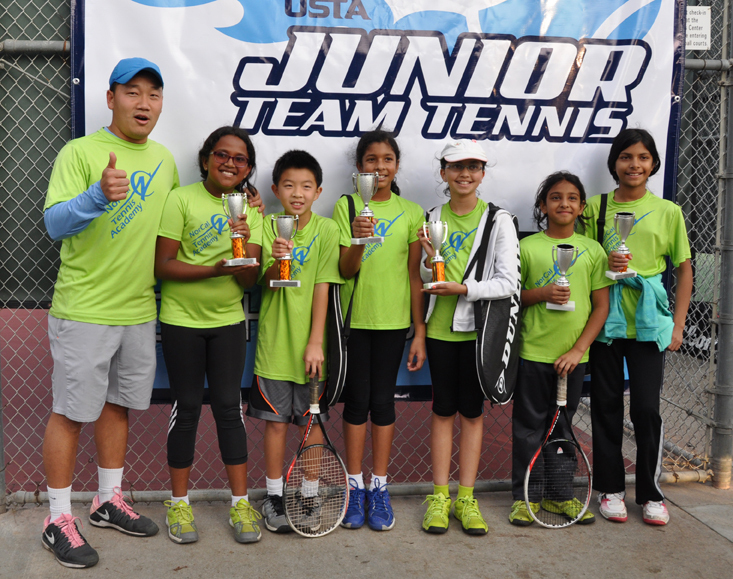 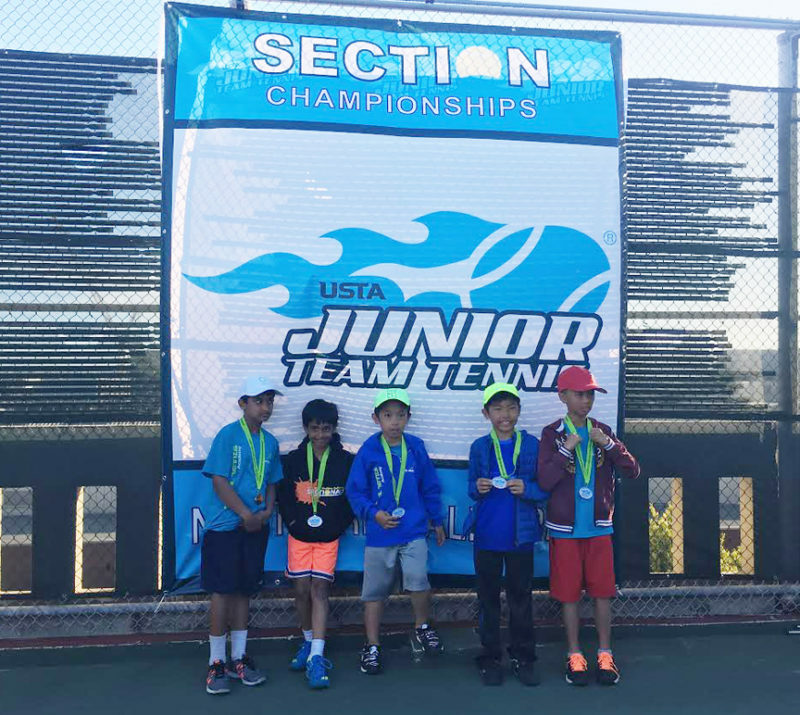 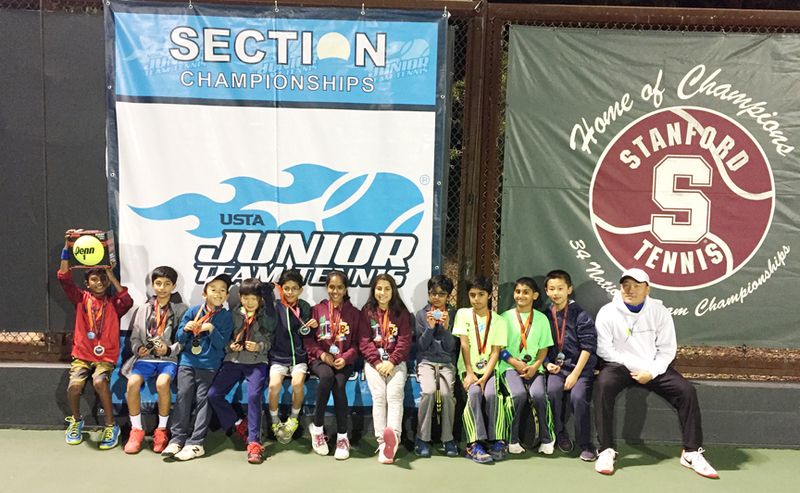 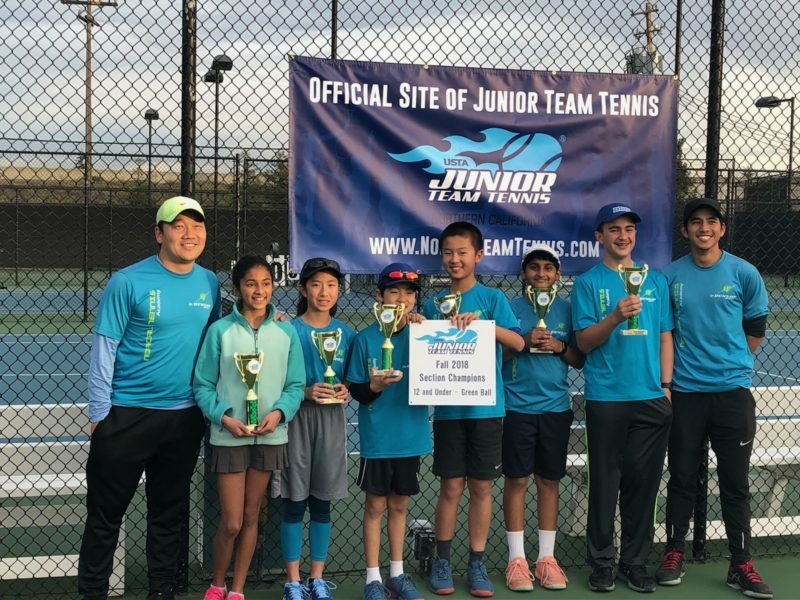 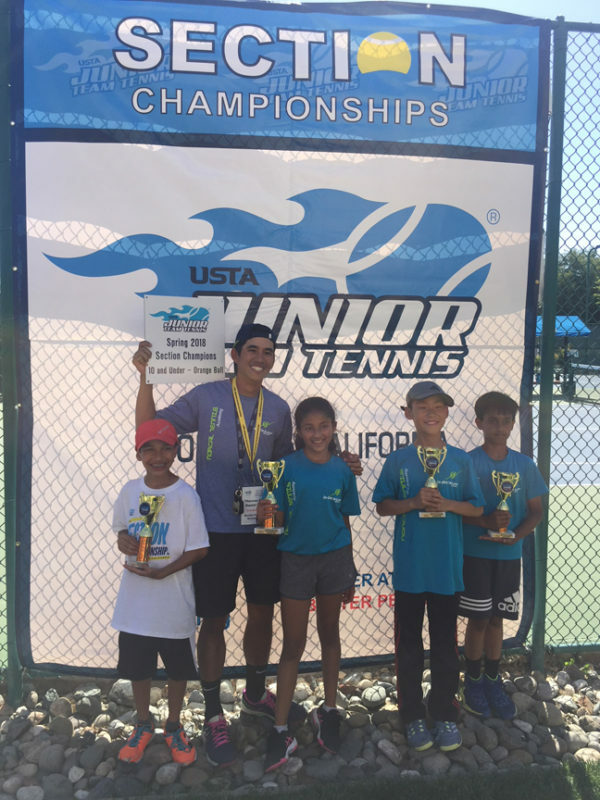 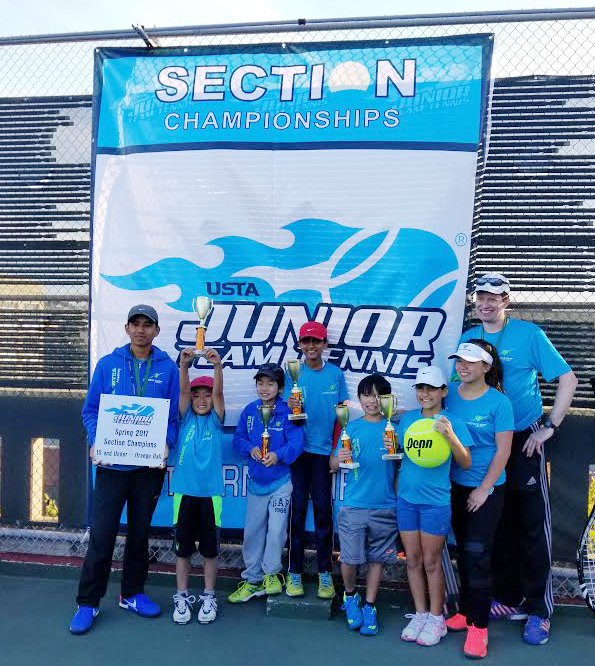 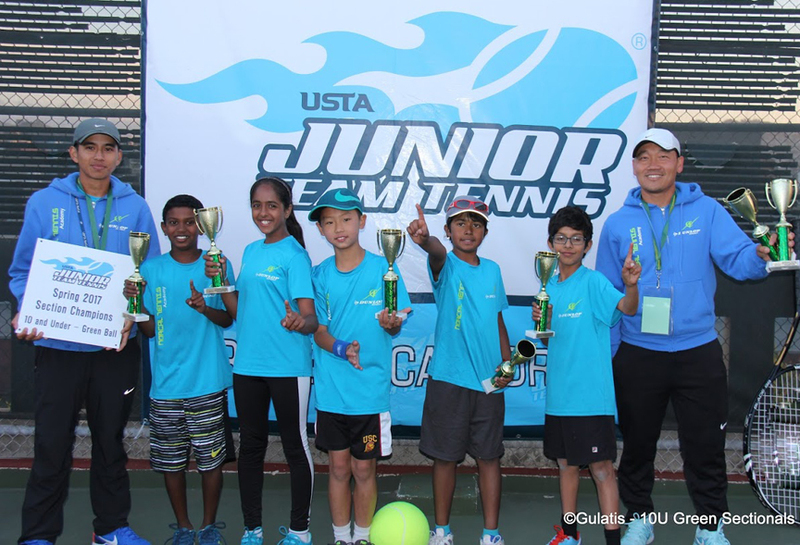 USTA Award -team tennis program of the year, our academy offers a very strong team tennis development. 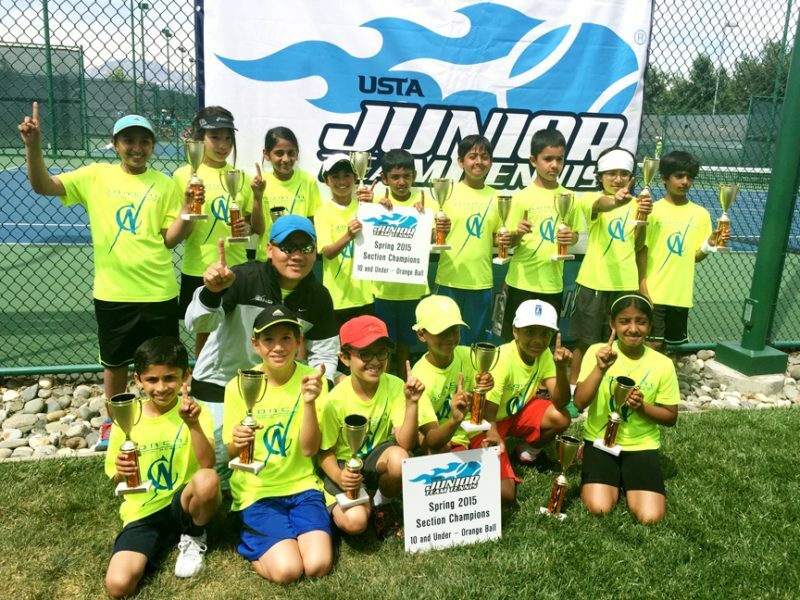 Since we started our league program in 2014, we have qualified for all of the Team Sectional Championship events and having won consecutive 23 team titles. 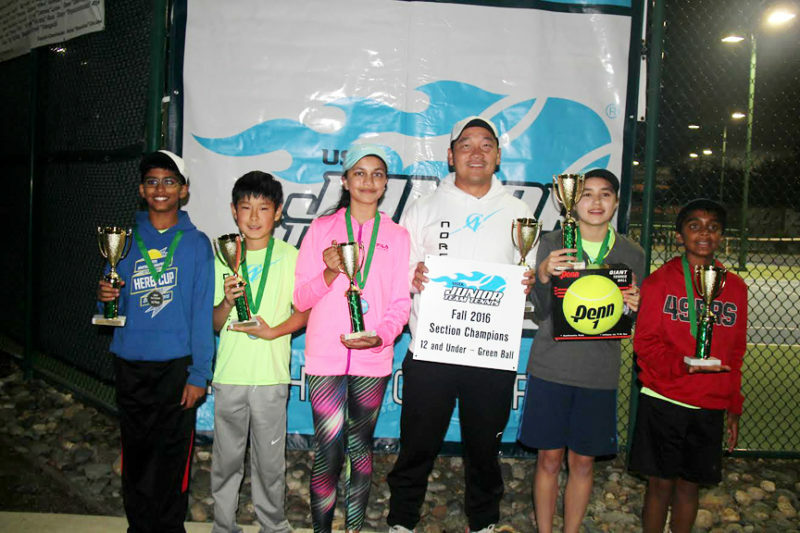 Highlight: Incredible run for our 10U green players, having to beat 2 teams that we have lost to in the regular season to capture another sectional title. 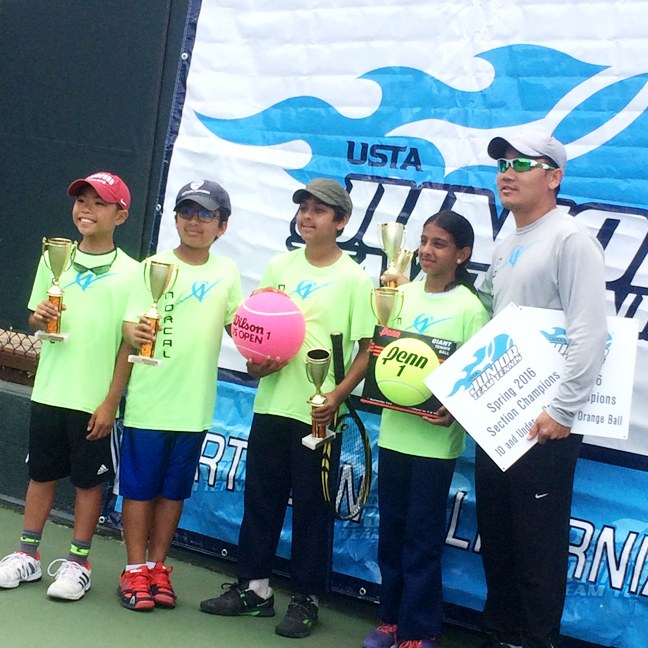 Highlight: Delay after delay, but we finally got to compete for the title. 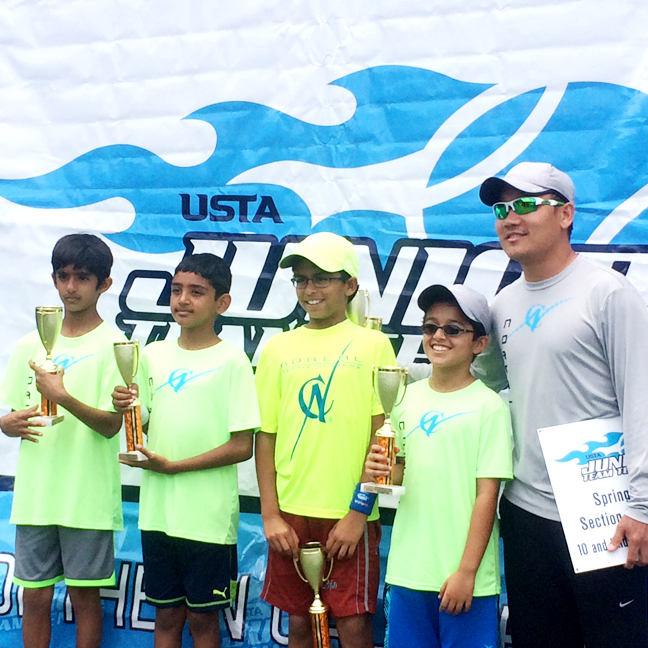 Tough matches but our players displayed a lot of fighting spirit, again, taking the title home for the academy. 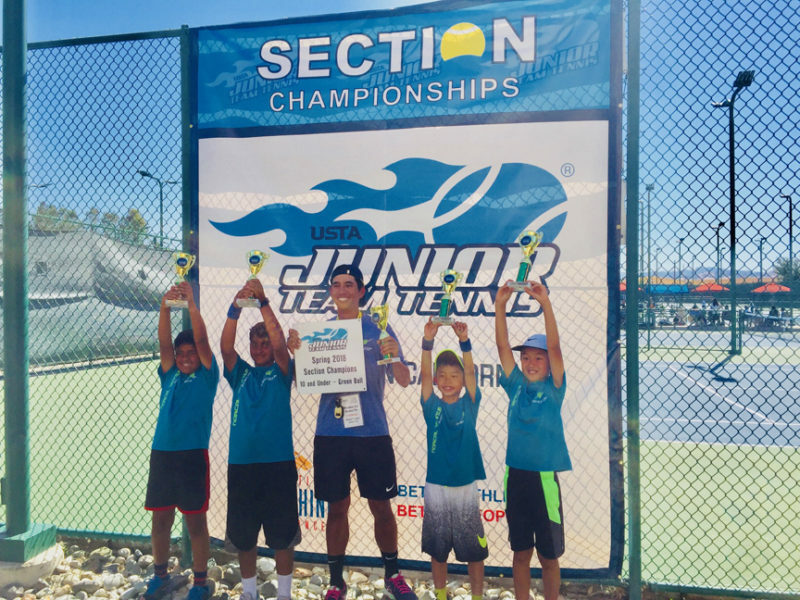 Highlight: Our top player Rithwik couldn’t make it to this championship, but the rest of the team stepped up and captured the title. 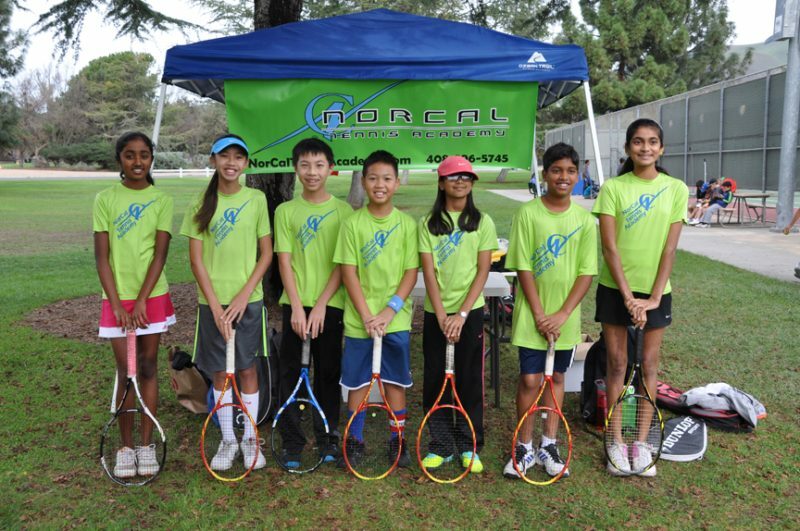 Team work was at its best. 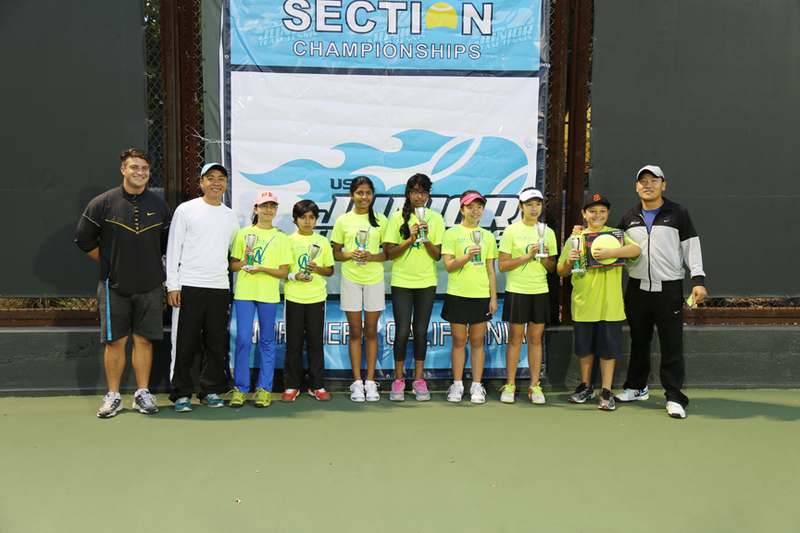 Highlight: A very close match up in the Finals, both teams came to a tie and it was came down to a deciding tie-breaker. 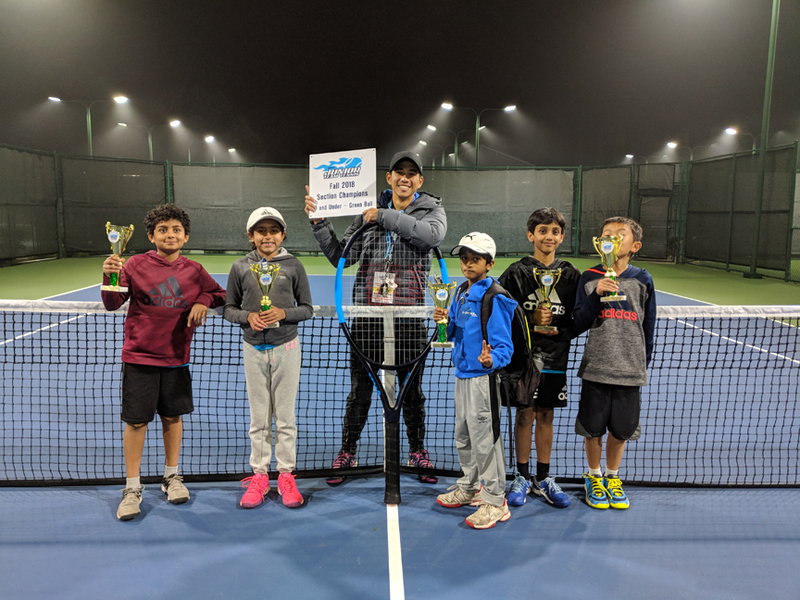 Maanav and Raj took home the win for us with a 7-5 score. 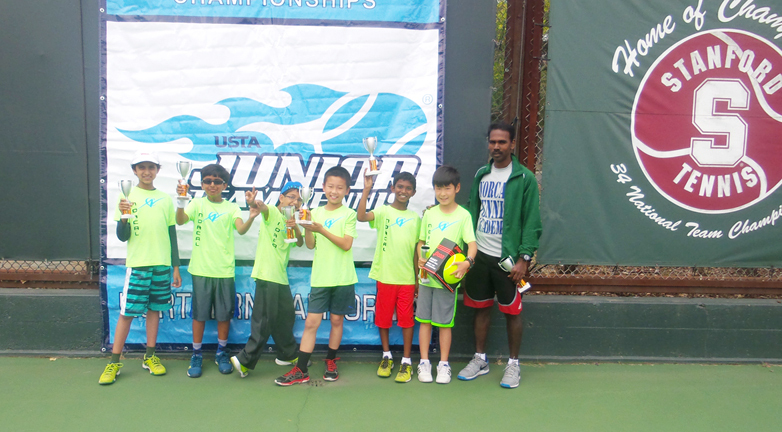 Highlight: 1st season in 10U Green ball and we took home the 1st place trophy. 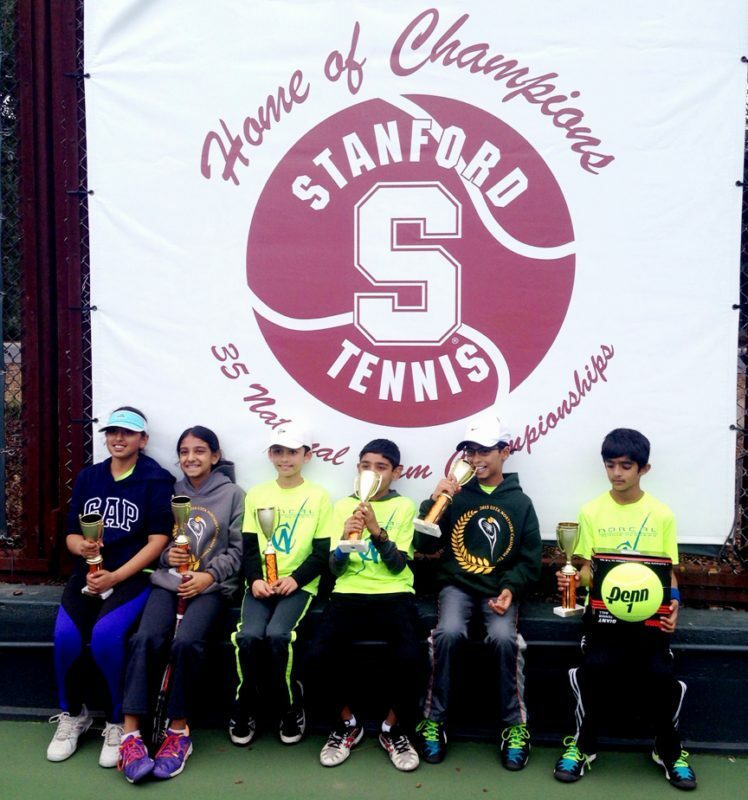 FALL 2015 Sectional Championship, Stanford University, CA. 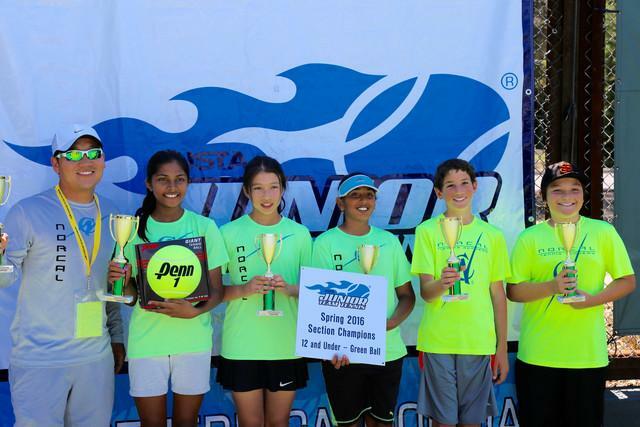 SPRING 2015 Sectional Championship, Oakley, CA. 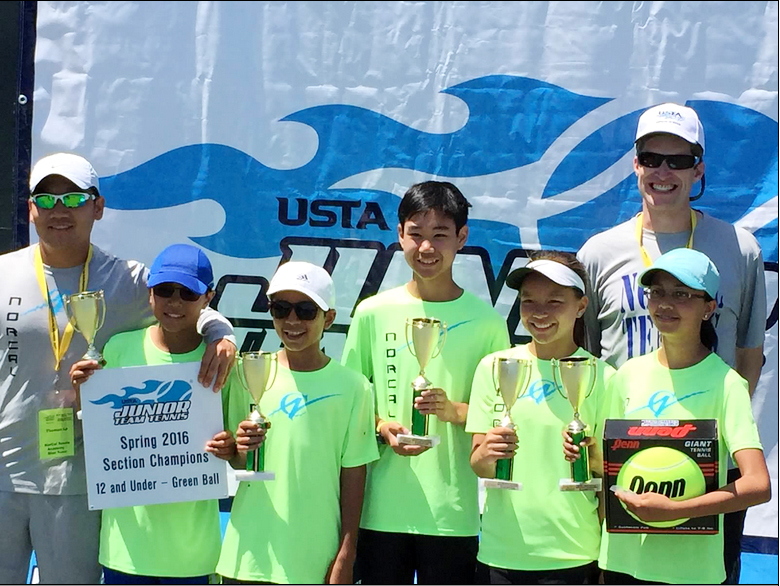 Highlight: Blue and Volt team, both won 1st place in their draw. 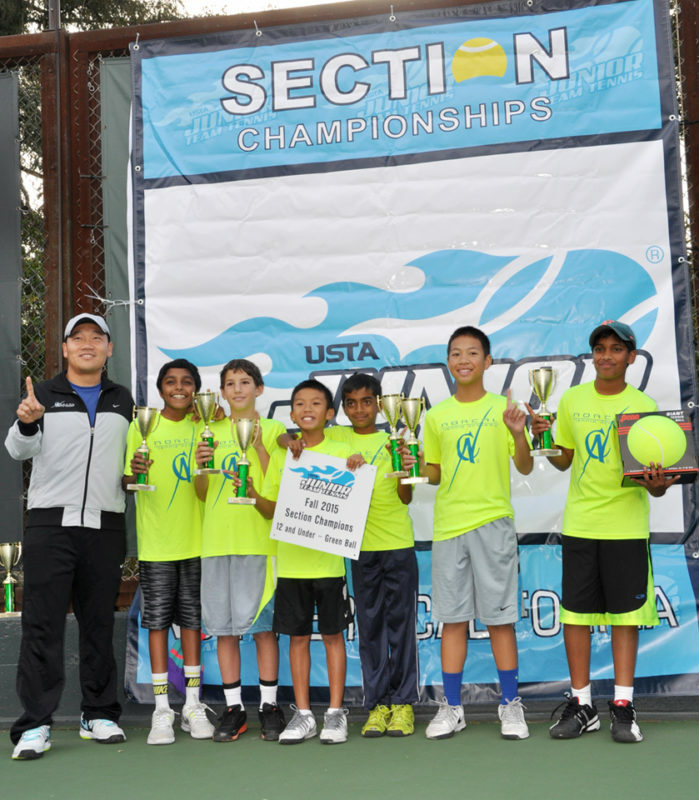 WINTER 2014 Sectional Championship Fremont, CA. 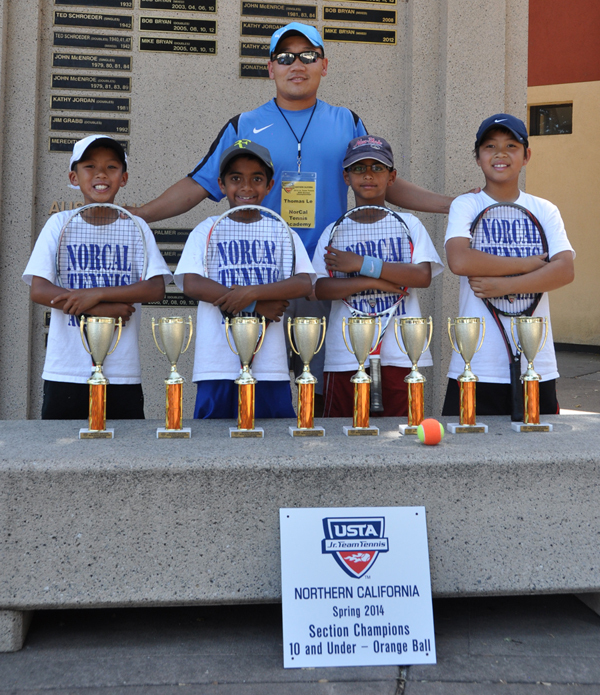 Tournament: 10U Orange Sectional Championship, Fremont, CA. 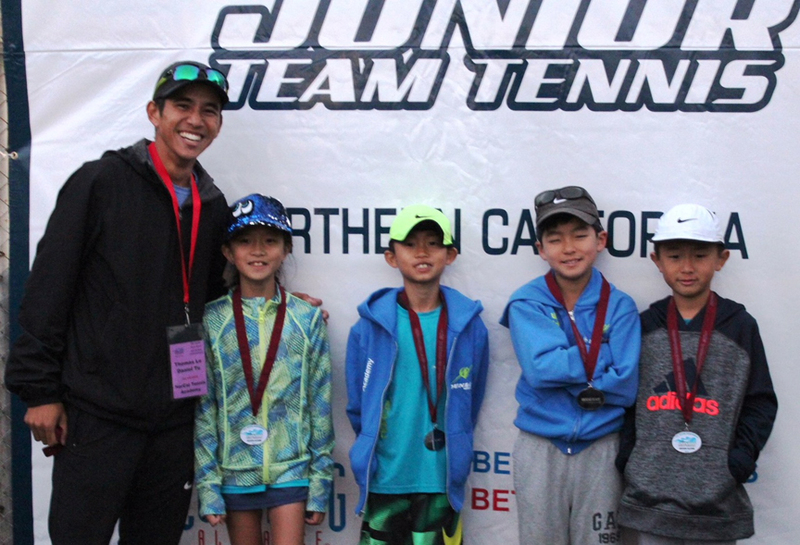 Highlight: our B-team didn’t do too bad either. 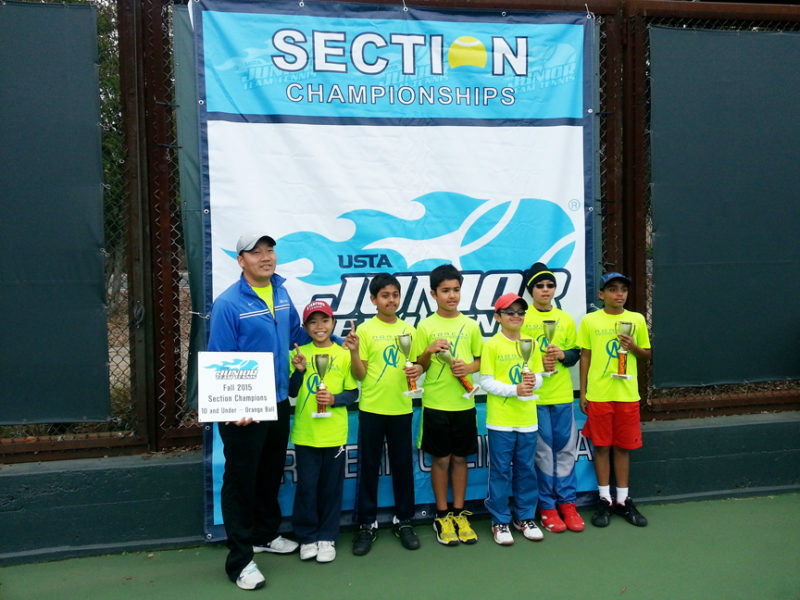 Highlight: our first 12U and we won it at first sectional. 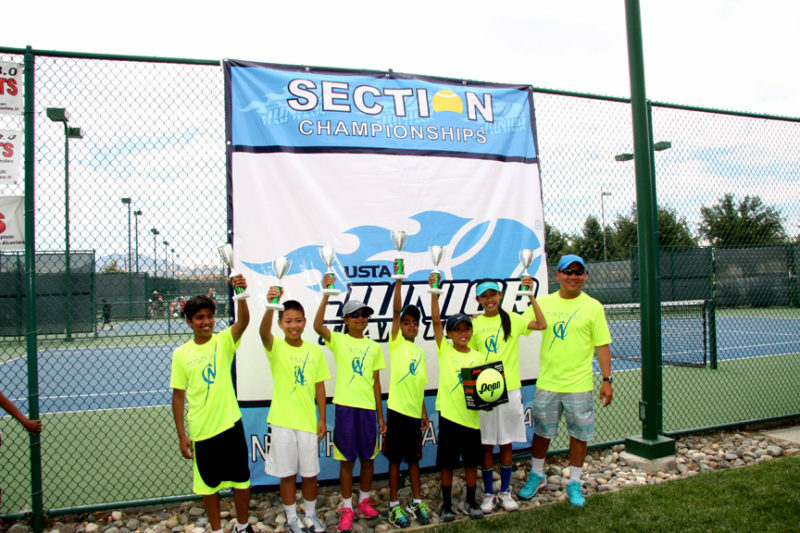 Highlight: First team, undefeated throughout the season and at Sectionals.